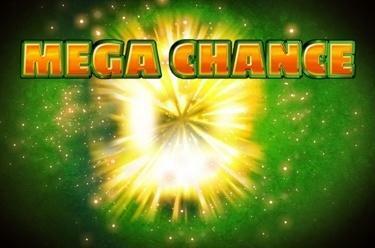 Play Mega Chance online for free now! The winning formula for Mega Chanceis pretty straightforward: The bigger the fruit, the bigger your chances of winning! Easy to remember since there are only two winning symbols: the melon and the orange. But there's more because there are no fixed pay lines in Mega Chance - what counts is the number of symbols! Collect as many melons as possible because they will grant you free games and maybe even the progressive jackpot! The aim with Mega Chance is obvious: land as many identical winning symbols as possible! It doesn't matter where they land on the reels because both symbols of the game, the orange and the melon, are Scatter symbols and crucial for a win is only their number! 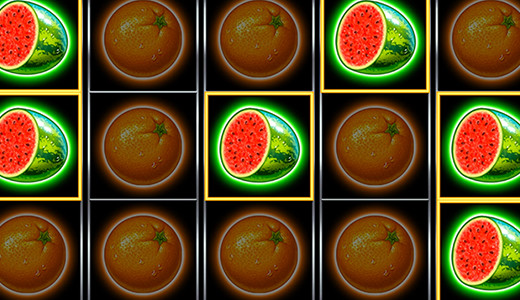 The melons are the key in Mega Chance: 7 melons trigger a free game with fixed symbols, 15 crack the jackpot! If at least 7 watermelons land on the reels you get a free spin in which the symbols that triggered the free game are fixed. If at least one more watermelon appears during the free spin this will be also fixed and you win another free game. This will be continued until no more watermelons are won. Then, your win will be paid out and you return to the regular game. If you land 15 watermelons following a spin the progressive jackpot is yours! You receive 100 % of the jackpot if you placed the highest bet or a proportionate share when you have bet less.